Starting a business can be stressful and exciting at the same time and in many aspects it doesn’t get easier. When you finally have everything in order (or almost), more orders need fulfilling and service requests have become more than you can handle. Priorities must take place, and you must focus and plan. Otherwise your small business that’s off to a good start will fail to grow the way you’d like it to. If you find your business stuck in ‘growth limbo’, there may be 3 things preventing your small business from growing. Now in any business, online or a local storefront, social media comes into play in a crucial way more than ever before. Every business you turn to will have their specific social media platforms ready for you to click on or will have a flyer stating to visit and LIKE them on Facebook. Social media works, however how you use it makes all the difference. Did you know that Facebook posts get 2.3X more engagement with photos? When you don’t use visuals on social media, that’s basically telling people you’d like to be ignored. 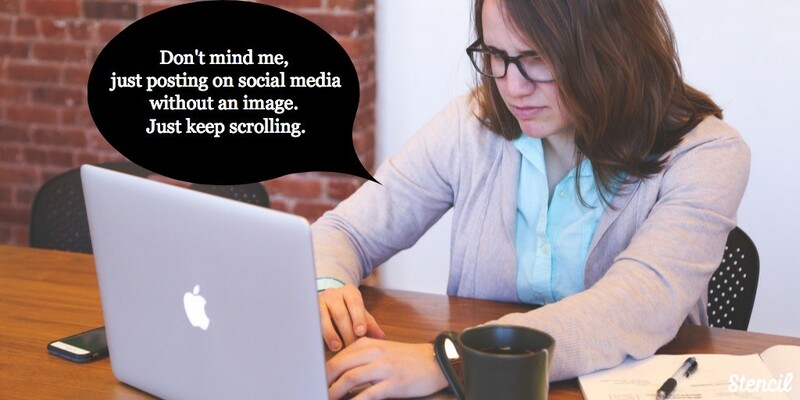 If she uses an image, people will stop scrolling and notice her post. Also, not all of your customers will be on the same social media platform so give them options. Images on your blog or website could be shared on social media. We’ll talk about what steps you can take to optimize your images for an optimal sharing experience. Lastly, we’ll talk about time management. Time is money! What are you doing to create images in an efficient manner? Let’s dive into this further! Visual content is 40X likely to get shared on social media. Forty times is an extraordinary statistic! Businesses need to take advantage of visual marketing. Even if you have a small budget, visual content can be done quickly and help grow a business by spreading the word about services/products. 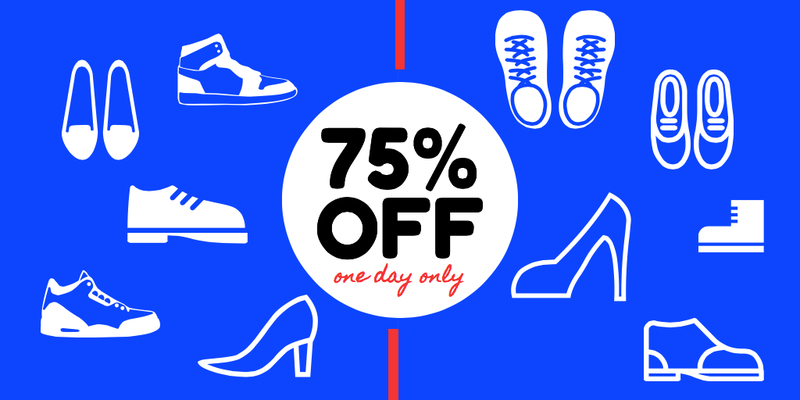 Create a a sale image easily with Stencil’s templates. Not all customers are equal. It’s absolutely true that you need to have a buyer persona or customer avatar to have a successful business. It will help your business grow once you know everything about your customer. You’ll find when creating your buyer personas that many of your customers will hang out on Twitter more or Facebook, however there will be some customers on Pinterest too or another visual platform. Make it easy for your customer or potential customer to share your content by providing a variety of images. 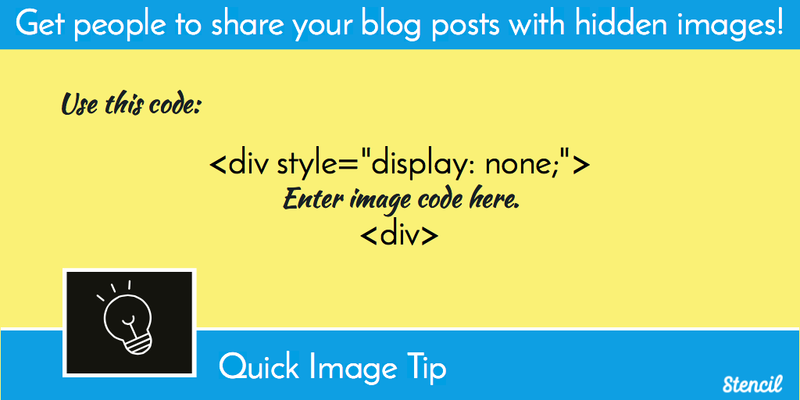 If you have a blog image (and you should! ), then make it easy for the reader to share to their favorite social media platform. When you use Stencil, you can easily resize the image to the type of social media image you’d like to use. Resize your Pinterest post to Twitter in a second! For example, you may use a horizontal image for your blog post, which is ideal for Twitter and Facebook. However, what if you have a customer that would like to share it on Pinterest? As a Pinterest user, not having a vertical image to share can be disappointing and vice versa for other platforms. You’ll risk not sharing your content at all. Don’t run the risk of people not sharing your content! Your business will grow when people share your valuable content, and the more variety of images you provide the better. Tip for WordPress Users: You may not want to have a long vertical image on your blog post, but you can still have the image available for people to share. How? Use code on the backend to hide the image (it’s really simple). When people are ready to share, they can choose the image they like. Use the code in the Text tab in WordPress to hide the image. If you’re not using Pinterest, understand that the SEO on pins are highly ranked. Most images that pop up on search engines will display Pinterest images first. Creating images for your business can be time consuming and you probably have more items on your priority list to get done than just visuals. 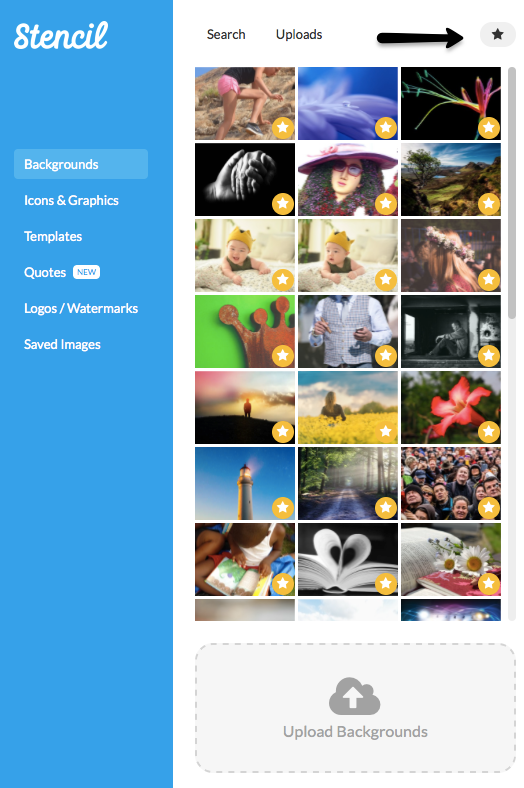 Stencil is fast in helping create social media images, blog images, headers, and more for a business. Templates must be a part of your visual marketing strategy. Templates are a huge time saver and can keep branding intact. Keep your images consistent as much as possible by using the same color scheme and fonts. 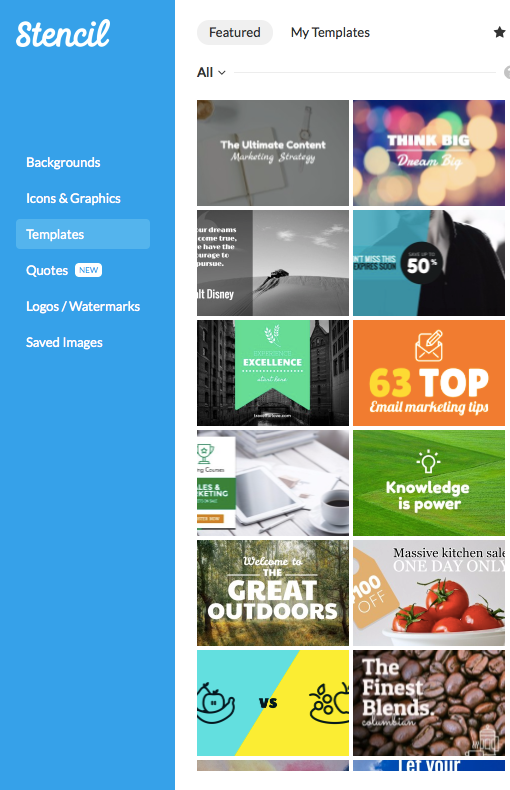 Templates in Stencil save time and effort for visual marketing. In Stencil, you’ll find a black star above the search bar display. Take advantage of saving your backgrounds, templates, and designs by clicking on the star. By clicking the star, all those images will be saved and can be used for future-use. Click on the star to save an image in Stencil. I know the biggest question people will have is, “When will I have time to create images for my business?” That’s an excellent question! 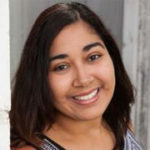 When business is booming and you’re starting to feel it grow, you can have all these things planned out so when you hire a virtual assistant or freelancer to help with your business growth, you’ll have your visual marketing in order. This will make great use of your time to delegate tasks to someone else, while you handle the top priorities of business. 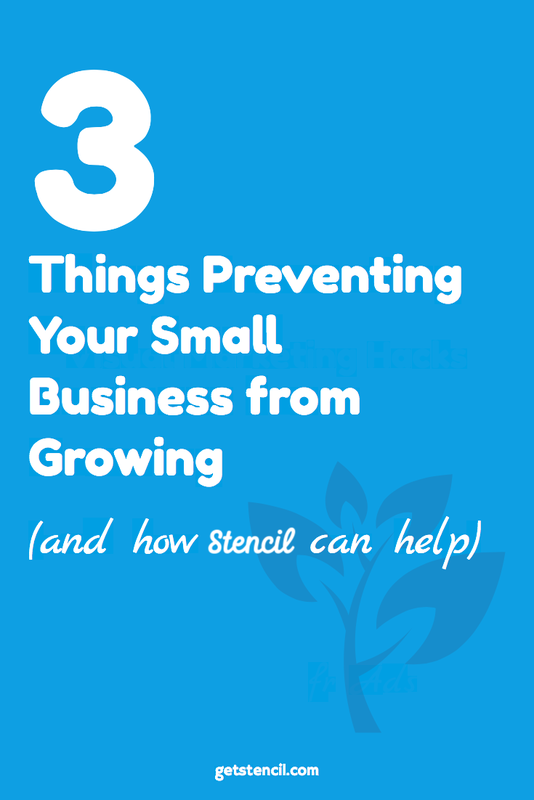 Can you prevent these things from happening to help your small business grow? Absolutely! You should make time for visual marketing. It will help your business grow in no time at all and it’s not expensive. Which of these do you find yourself needing help on? Let us know in the comments!